It’s the start of another month, and with summer just around the corner you might be tempted to book that holiday to the south of Spain or weekend in Cornwall. Allow us then to convince you otherwise with our monthly buyer's guide and spare you the sunburn, phrase book and cultural misunderstandings with our monthly recommendations of the very best enthusiast hardware to suit any budget, from a weekend at Butlins to a round the world ticket. April’s been far from a quiet month with plenty of new products vying for your hard earned cash. Nvidia’s GeForce GTX 275 just squeaked into last month’s guide, but the price war between AMD and team green is, as always, fierce, and the ATI Radeon HD 4890 has dropped enticingly in price this month, making the choice between them a little tougher. AMD also launched its new mid range GPU in the form of the ATI Radeon HD 4770, the world’s first graphics card based on TSMC's cutting edge 40nm process. Boasting impressive performance for a card towards the bottom of the price ladder, could it have earned a vaunted place in our Affordable All Rounder? As well as all the new hardware releases each month, we’re always on the lookout for price hikes and cuts too. It’s incredibly frustrating for us to see quoted prices abandoned as consumer demand for a certain kit rises or falls, and we’re not afraid to change our choices if prices change for the better or worse. As always, all recommendations made in the guide are based entirely on either our personal experiences with hardware or our own reviews (both on bit-tech and in CustomPC) and occasionally positive feedback and suggestions we receive from our ever growing community. With such a huge amount of experience and product knowledge behind our recommendations, you can rest assured any product listed will be a quality choice, but not the absolute and only answer, as you will clearly have your own personal preferences. 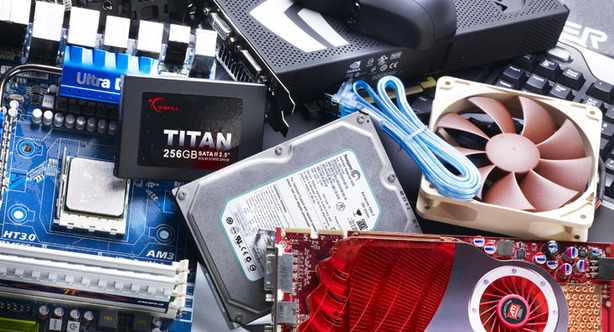 We take our buyer's guide seriously here at bit-tech, and will continue to update it on a monthly basis, with up-to-date pricing and revised selections – a necessity when you factor in the ever fluctuating prices that make the enthusiast hardware market so volatile. However, do bear in mind that prices are fluid and while we do our best to find the very best deals on individual components at the start of every month, prices and availability can change at any time. Following our recent expansion and redesign of the buyer's guide we’re still keen to hear from you, our readership, about what you want to see covered or improved in our buyer's guide. 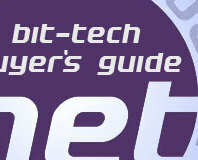 We’ll shortly be publishing the second edition of our quarterly Home Theatre PC buyer's guide following plentiful testing of HTPC components in response to continued interest and it’s feedback like this that helps us improve our guides month on month, so don't forget to let us know what you think again this month in the forums.